To be a member of the Gemstone University, one must be a member of the PanTerra D'Oro Private Society and Private Contract Association ("PCA"). This is accomplished in one step when one selects the Join Now button on the left hand side of our home page and takes the steps to become a member and thereby gain access to the private side of Gemstone University. The PCA is a membership association created by private contract, established and styled as a Mutual Benefit Society. As such a society, it is based on the principles stated in the Declaration of Intention, which is an extension of the mission intent of the society as founded in March of 2001 and noticed to the public at the time of the creation of the PanTerra D'Oro, Corporation Sole, Office of the Overseer of the PanTerra D'Oro Private Society in February of 2002. For more information about PanTerra D'Oro Society and the structure of the PCA, please go to www.panterrapca.org. 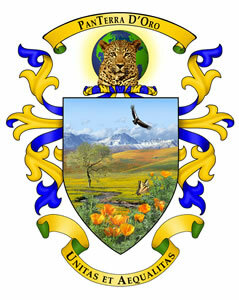 Gemstone University ("GU") is a service for PanTerra D'Oro Society members only. The purpose of the privacy is not to exclude anybody from our society, but has to do with the nature of the world system wherein all who are on the public side of the ledger are bonded servants to the world's debt system, thus we protect our members and the society as a whole by remaining wholly in the private. GU is our educational forum to assist and support our members to gain the necessary knowledge and awareness as to how the world system really works, with an integrated presentation of courses and materials to see the whole picture rather than the fragments that are out there to find but can be overwhelming to most people who have not been trained in the areas of history, law and money. The primary education for our General Education Members (GEMs) is to build the foundation upon which, if one so choose, to then proceed with one or both of our premium courses (Status Correction and Estate Structure) to achieve the proper standing, status and capacity to live as a free human being in the private (via Status Correction), no longer attached to the impairments, liabilities and debt enslavement of the public domain, or to create a new estate in the private to secure one's family, business, assets, legacy or larger endeavors for projects, communications and enterprises. In order to achieve status and standing, one must be disengaged from the current status of surety guarantor of and for public liabilities (debts). With respect to Status Correction, when one achieves a truly private status, one now has standing; first, within substantive unalienable rights; second, on the land of the living and not lost in the sea of commerce (and the containment field of the Realm of Death); and third, with the potential to be a vibrant, living being standing in a unified relationship with all life and existence. It is our intent to fulfill the intention and principles as expressed in the Declaration of Intention, to see made manifest in our lifetime that all humans who walk on this planet are free of such entanglements and can stand together in our most noblest expression with life, living and expressing what is best for all of life. All life of course includes the plant and animal kingdoms, the ecosystems of the world, the soil, the forests, the rivers, the seas and oceans and all substance of life. This is our intention and purpose. 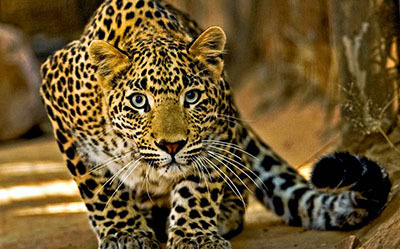 Have a look at the introductory video and the material posted here on the public side of this web site and www.panterrapca.org that expands on these principles. The PanTerra D'Oro Private Society has developed an i ntegrated program to achieve this on the individual and collective basis. The foundation is our two primary courses for Status Correction and Estate Structure. These are designed to guide one through every element of the process and elucidate with clarity each document and purpose for each step; one can choose one's individual pace and then make an educated and informed decision. This involves following the educational process to learn and understand what this all means before proceeding, and therefore, as a Society and PCA member, one can come into the Gemstone University and learn all the details about what it means to undertake the process of status correction or creating a new estate structure, and then make an educated and informed decision as to whether this is something for you or not. The founders and current members of the PCA have an accumulated experience in the key subjects of law, history, administrative process, global structure, monetary construction and much more, spanning many hundreds of years of total immersion. We have a great research team and, here, within the Gemstone University, we are building a comprehensive set of tools and resources to assist the members to achieve the above stated goals. Additionally, this site is the foundation to build a comprehensive global media and broadcasting group (The Gemstone Global Network), integrated communities worldwide, linked via virtual private network technologies to integrate a global community and family. Every member learns how to reconfigure their lives and their resources into the private so as to continue to create their visions and intentions to contribute to the building of a new world. Proper asset protection and multi-layered strategies are part of this curriculum. With such structures in place, one can now build the resources, both individually and collectively, to be applied to transform our world from one of death and destruction to one of life and living. Together we will create a solid structure for sharing knowledge and understanding with all those who join us on this journey within the PanTerra D'Oro Society and Private Contract Association and the Gemstone University to recreate the world into one that is Best for All Life. Another key component of the GU curriculum and practical applications is how to create private entities that do not require corporate authorization to exist, as replacements for the typical corporate structures that do not support the principles we are bringing forward. Such things as unincorporated business associations, private contract associations and similar constructions that enable a group of people to come together with common purpose to be secure and protected in their endeavors. We are all aware of the jeopardy in the public, corporate world that oppresses, suppresses and destroys life-enhancing endeavors. The control of our bodies through the FDA, AMA, and Big Pharma in bed with the government and corporate dominance is just one of many examples of this. Moving every individual into the private, changing status, being free of debt encumbrances and the acceptance of public privilleges (that can be taken away at the whim of the state), and establishing our private capacities through collective association is the answer to these issues. We have the detail and the specificity of how to establish and create such structures protected by unalienable rights, protections and immunities. In the curriculum of the Gemstone University you will learn true history. You will understand how we arrived at the state of affairs on this planet today, and more importantly, how you can be part of the transformation of the planet. Begin to build your understanding of the true history of this world and how we have come to create a world that is not in fact best for life or for all beings, and gain the tools to apply your standing, status and capacities to change all of that. With this new understanding we have the ability to rebuild this world and leave for our children a planet that is built for a sustainable and prosperous future for all mankind and all life on Planet Earth. What is a Private Society? Why is this an important foundation upon which PanTerra D'Oro has been established? To answer these questions we must understand that in Western and English law the concept and structure of a society has been in place for many centuries. It is embodied in the Law of Nations by Emerich de Vattel, and is part of the law form that has been secured and protected for a very long time. The "society" originated in English law as the form that protected fraternities, guilds and churches, among other types of structures and organizations. It is recognized as having the right and authority to establish its own government, its own law form, its own court and its own treasury as a private bank. PanTerra D'Oro was established as a private society over fifteen years ago, and proper notice and acknowledgment was placed into the public record, along with the creation of the Office of Overseer as a corporation sole in February 2002. The Office of Overseer is a perpetual office in which all assets belonging to the society are lodged in the Office of the Overseer, and are there to be directed by the Overseer for the fulfillment of the Mission Statement of the Society. Thus, PanTerra D'Oro is a Mission Society, a form that is fully recognized in statutory codification in the public, but has since inception been set up to operate as a private, non-statutory entity, without grant or acceptance of jurisdiction by or within the corporate form of the United States and its owners in the City of London. 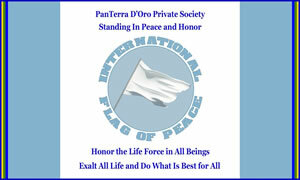 The PanTerra D'Oro Private Society continues to advance and perfect its standing in the world. At this time the PanTerra D'Oro Court of the Ekklesia has been noticed to the world with full acceptance of that fact by all major principles and world administrative bodies and courts, including those of the United States. As such, the Court is an ecclesiastical court (non-hierarchical, non-denomination and not bound to any religous form) standing as a superior jurisdiction (above the public and inferior court systems thereof) and provides the permanent archiving and records for the custodial function of the members of the Society. 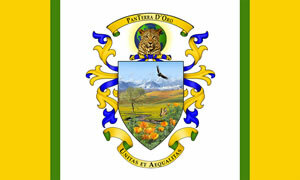 To understand this more completely and to review the foundational documents, public notices and related functions of the Society, Court and Private Contract Association, known collectively as PanTerra D'Oro, please review the content at www.panterrapca.org. To fully understand the benefit and value for the individual, family, church, community and other associations and organizations of joining our private society as a member and achieving the same structure, protections and immunities, one must become a member by enrolling here on the Gemstone University site. 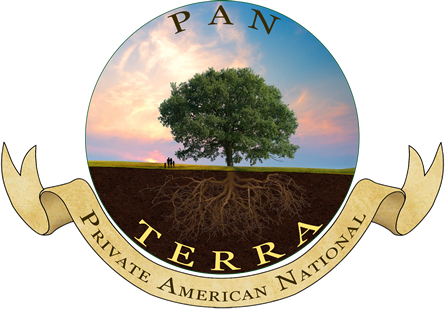 PanTerra D'Oro has created a perfected template that others may follow and apply, based on their own Mission Statement and Mission Society intent. PanTerra D'Oro provides the prototype, template and framework to all who wish to avail themselves of our society to perfect their own structure based on the principles, values and specific purpose, intent, faith or belief that one holds at whatever level such is intended to be applied. What is a Private Contract Association? In the country known as the United States there is a distinction between the “public” and “private” side of things. For those not familiar with this concept, suffice to say that what we were told was the reality of freedom and democracy was in fact an illusion designed to entrap us into a status of bonded servitude and debt enslavement. This is achieved by attaching us to what is known as the corporate, statutory public jurisdiction. In that jurisdiction the United States is in fact nothing more than a bankrupt corporation. We were given a vessel to operate in that public arena, but that vessel in commerce is a debt facility wherein all commercial papers starting with birth certificates and proceeding forward with social security applications, driver licenses, professional licenses, tax bills, traffic tickets, court cases and the rest of it continually create more debt to which we are attached as the bonded surety (guarator, debt servicer). But originally there was a jurisdiction created at the founding of this country that created an original jurisdiction in which the people were the sovereigns and retained their sovereign capacities with unalienable rights. This ultimately gets down to the understanding of jurisdiction and the nature of contracts. Thus, we have established our membership organization under the rights of private contract, and our right for private and free association. By so doing, we are retaining and protecting our private capacities, as sovereigns, in the original jurisdiction. In that jurisdiction we are not subject to corporate/statutory codes, ordinances and statutes and are free to associate under private contract to share our knowledge, resources and remedies towards achieving our goals of freedom and prosperity. This is also true for all other nationalities, because each so called country is in fact just another corporation as a subdivision of the one master corporation on the planet and attached to that corporation via the monetary commercial banking system that is centered on the Federal Reserve System, Securities Exchange, and Commercial systems of the United States. Thus, we have members joining us now from over twenty-five countries and we're pioneering this process in some of those countries as well. If all of this interests you we invite you to consider joining us! To be a member of the Gemstone University, one must be a member of the PanTerra D'Oro Private Society and Private Contract Association ("PCA"). This is accomplished in one step when one selects the Join Now button on the left hand side of our home page and takes the steps to become a member and thereby gain access to the private side of Gemstone University.